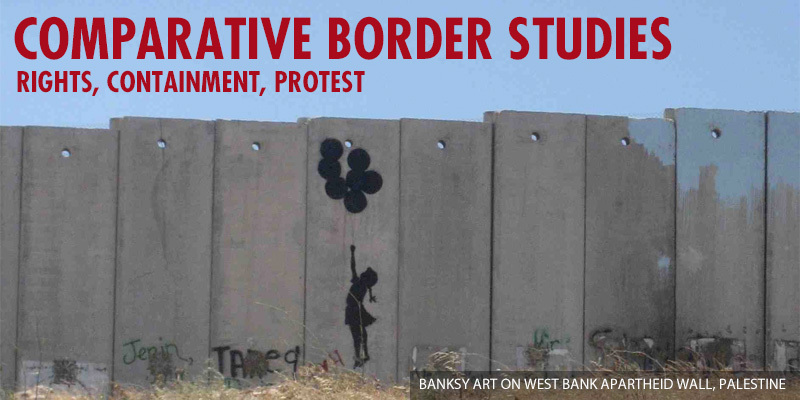 The Border Studies Initiative will focus on promoting interdisciplinary, comparative research on the making, unmaking, crossing, and fortification of borders – national, colonial, regional, and continental. Our central thematics are organized as follows, broken down by year: 1) Human rights, citizenship, and racialized belonging (Year 1, 2015-2016); 2) Mobility, militarization, and containment (Year 2, 2016-2017); 3) Protest cultures and transnational solidarities (Year 3, 2017-2018). Please see our Mission Statement to learn more about our guiding research questions and objectives.